Ronaldo is aiming to win the trophy for the fourth year running, and his goal here came from the visitors' only attempt on target on Wednesday. 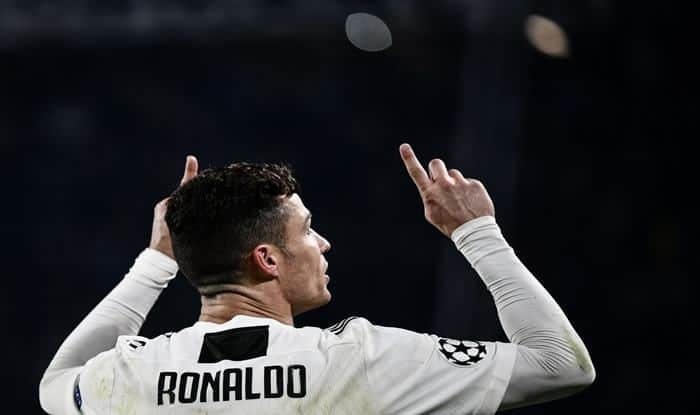 Ace footballer Cristiano Ronaldo marked his return from injury in a grand style as he netted a precious away goal for Juventus, who played a pulsating draw against impressive Ajax 1-1 in the first leg of their Champions League quarterfinal. With his breathtaking header at the stroke of half-time, Ronaldo subdued the 50,000 home fans in the Johan Cruyff Arena to take his record goal tally to 125 in the coveted Champions League competition. However, Brazilian winger David Neres conjured a stunning equaliser almost immediately after half-time to give Ajax a draw that was the very least they deserved. Despite that, it is Juventus — for whom substitute Douglas Costa struck a post late on — who hold the upper hand heading into next Tuesday’s return in Turin, with the winners of this tie facing Manchester City or Tottenham Hotspur in the last four. “Ajax have great quality. We suffered after their goal but we defended well and finished the game better.” Ronaldo was making his first appearance since suffering a thigh injury playing for Portugal last month — it was his first game for Juventus since netting the hat-trick that dumped out Atletico Madrid in the last 16.